STARSKIN® PRO Platinum Peel™ Mask Pack is a two-step professional peeling treatment. The treatment starts with a 10% Mandelic Acid leave-on exfoliating swab, followed by a powerful foil sheet face mask saturated in a nutrient-rich kale-based serum. 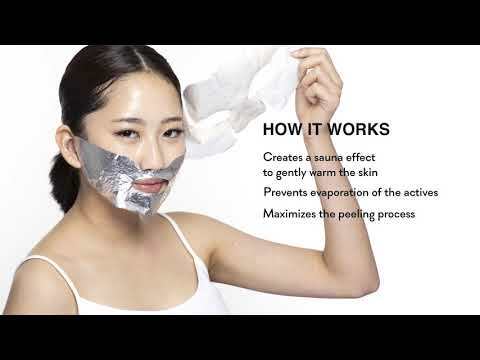 The foil-backed mask creates a sauna effect, gently warming the skin and preventing evaporation of the actives. This maximises the peeling process while simultaneously boosting the absorption of the sheet mask’s brightening serum infused with Meteobrite®. Experience an easy, professional and safe peeling treatment that leaves skin smoother, brighter and balanced in just over 10 min.